It was with a heavy heart that the first inking of my gorgeous Lotus Blossom Sale-A-Bration stamp set was for a ‘with sympathy’ card. December brought some very sad news for a couple of families I know. 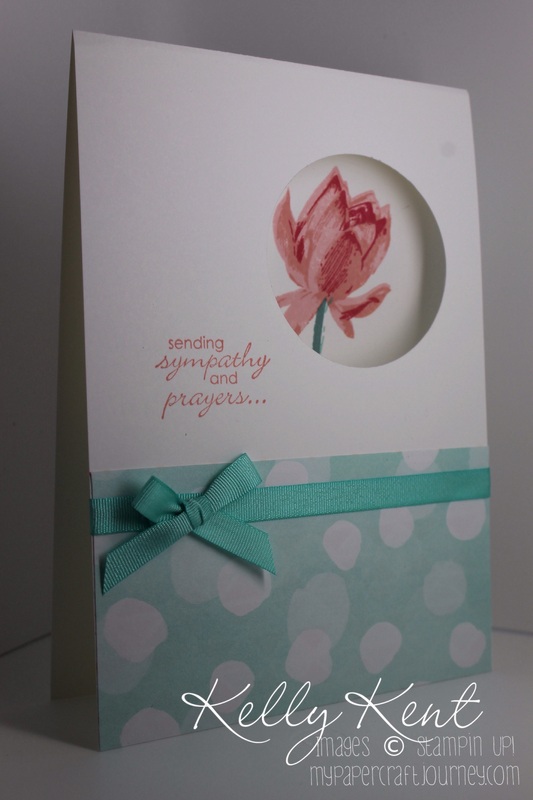 At this time of sadness, it was nice to be able to handcraft a card in which to pass on my condolences. The Lotus Blossom has many links to spiritualism, faithfulness & rebirth and is associated with beauty and purity. It’s beauty makes it a perfect stamp for so many occasions. If you’re interested in further lotus flower symbolism, the different lotus colours have their own meanings, particularly for those of Buddhist faith (more on this later).